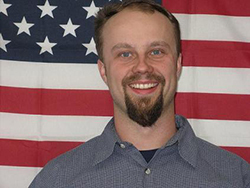 Bio: I started out in the business with the Ford ASSET program, trained with them for two years, worked as a heavyline tech in the dealerships for several years , earned my Ford MASTER TECHNICIAN certificate, Also I have earned my ASE master technician certificate. 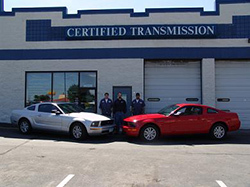 I came to Certified in 02' as the transmission rebuilder, later that year I bought the shop and have been the sole owner since mid 02'. We have a very challanging task in front of us everyday with the variety and complexity of today's automotive and industrial transmission's. We strive for excellence in our field which is very demanding and requires many hours of training annually. Rest assured that we will be able to repair your vehicle properly and we will stand behind our work should something go wrong. A reward for passing several certification test's. The use of brand new 2005 ford mustang's for the weekend.